In its series of art market rankings designed to highlight some of its key trends, this week, artprice take a look at the photography market at auction. PARIS, Feb. 13, 2019 /CNW/ - thierry Ehrmann: "The photography market represents just 1.7% of global Fine Art auction turnover, and 3% of the total number of Fine Art lots sold. But it has very interesting specificities that distinguish it from other Fine Art segments, starting with the fact that it is strongly dominated by Contemporary Art. Somewhat unusually, the figurehead of this market is, this year again, a woman, and an artist at the height of her art... Cindy Sherman". While the United States largely dominates the photography market, Germany, Japan and France are still very attached to this medium. Hiroshi Sugimoto has been the most successful Japanese photographer on the secondary market for the last 15 years. His maritime horizons - photographed all over the planet - form his most accomplished works and the works most appreciated by collectors. His major photos, in five editions, today fetch over $300,000. In 2018 no less than 77 photographs by Gustave Le Gray were auctioned, with a peak price of $225,000. This performance makes Le Gray the most successful 19th century photographer - or, put another way - the photography market's leading historical figure. However, the prices of his works seem to be contracting. 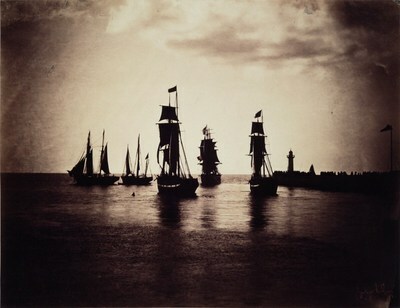 Boats leaving the port of Le Havre (1856-57), which had set a record $1,264,000 on 18 June 2011 at Rouillac (France), was resold for $965,000 on 17 February 2016 at Christie's in New York. Founded by thierry Ehrmann (see Who's who certified Biography) (c) https://imgpublic.artprice.com/img/wp/sites/11/2018/10/bio-2019-whos-who-thierry-ehrmann.pdf).